Just because it’s Fall, it doesn’t mean you have to miss out on colorful blooms to decorate your parties! 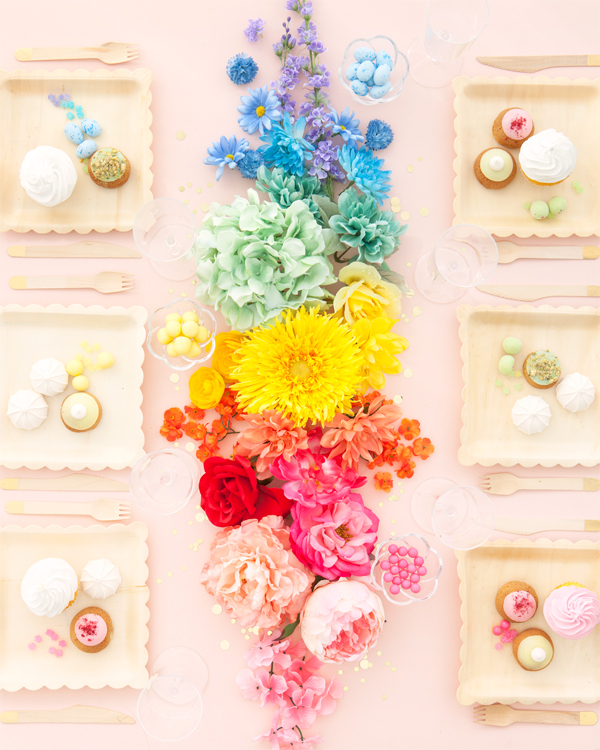 Faux flowers may not be something you would consider to decorate your house but, let’s face it, pretty much anything placed in rainbow formation will instantly transform into something magical. 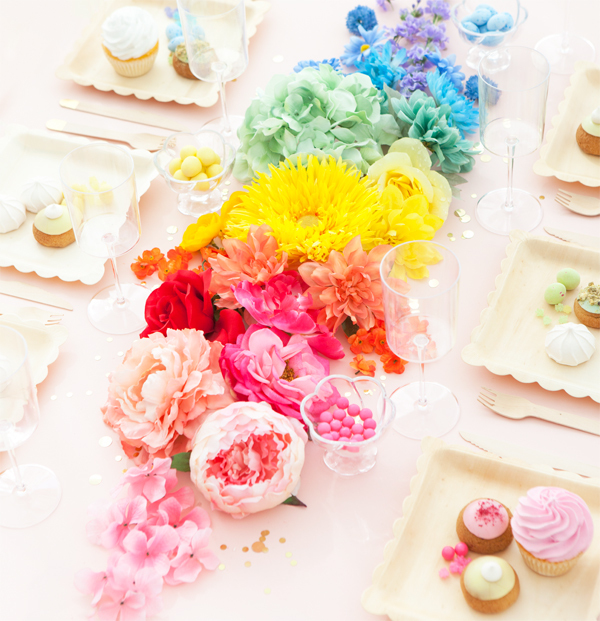 Recently, I found this beautiful photo by Violet Tinder on instagram and was inspired to create something similar as a party centerpiece. Take a look! 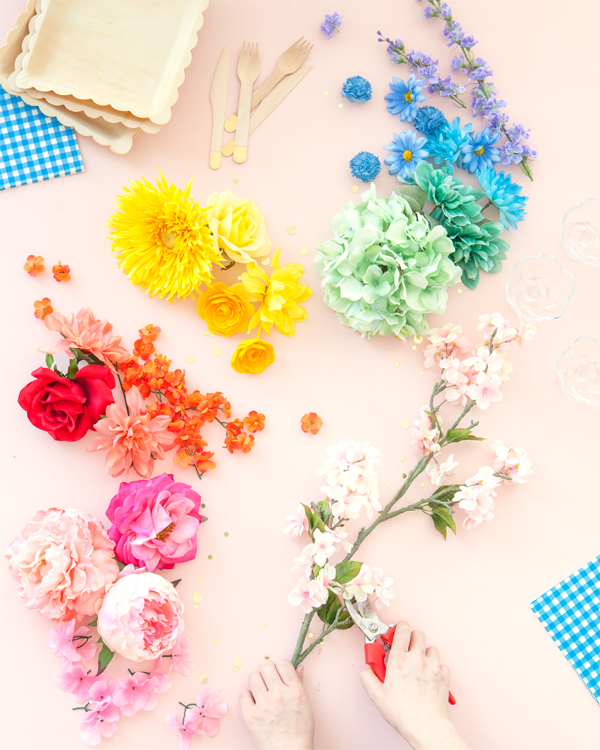 It’s really as simple as finding fake blooms at a dollar store or Michael’s (depending on your budget), trimming the stems and placing them along the center of your table in a beautiful rainbow spectrum. Make sure to buy a good variety of sizes to add dimension. Wow!! This is absolutely amazing. I feel like this would make for super fun pride decorations! Wow! What an impact. The colours are divine. Now to raid the craft stores.